Scenario: Encountered unsupported file type\partition error after setting up my external hard drive with my Linksys Smart Wi-Fi Router. One of the steps you can do to resolve this issue is to format your external storage device. There are ways you can format your storage device. You can either use a third-party software, or use your computer’s formatting tool to reformat it. If you prefer to use a third-party software, contact your storage device's manufacturer for support. To learn how to format your storage device using your computer, click the link that applies to you. Check if your storage device’s format is compatible to your Linksys router. Your storage device may not be detected if it is in a format that your router does not support. The Linksys Smart Wi-Fi Routers with USB storage feature only supports File Allocation Table (FAT), New Technology File System (NTFS) and Hierarchical File System+ (HFS+) formats. For a list of compatible USB External Hard Drives, click here. Make sure you back up your files. Formatting will erase ALL data on your storage device. NOTE: Steps and images may vary depending on the operating system you are using. Connect your storage device to your computer. 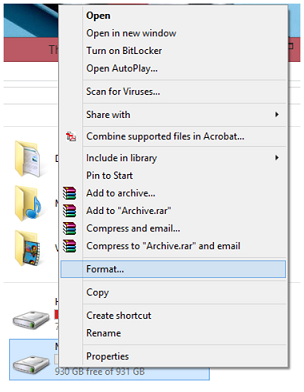 Locate your external hard drive, right click on it and go to Format. Click on Start then OK.
Once the formatting is completed, click OK.
You should now have successfully formatted your storage device using your Windows computer. Locate your external hard drive by going to Utilities. 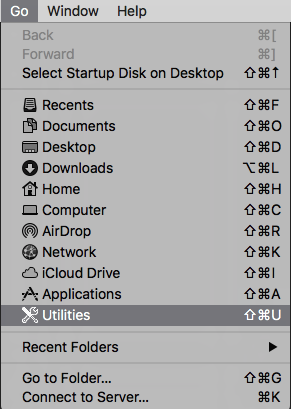 Click on the Disk Utility option. 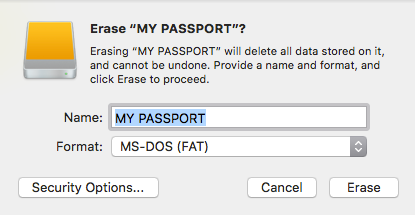 On the External section, click your storage device then click on Erase. 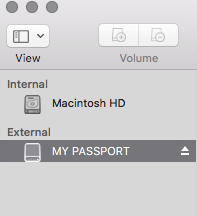 In the example below, MY PASSPORT is used. 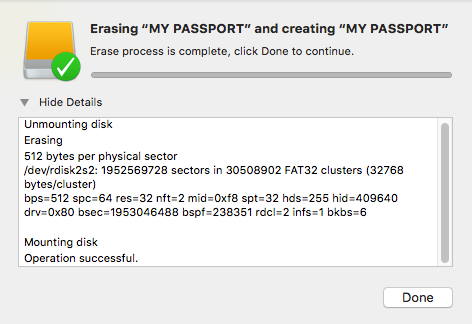 Click the Erase button and wait for the process to finish. 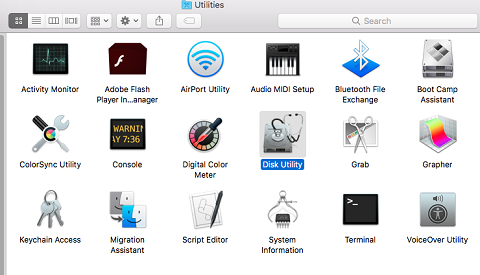 You should now have successfully formatted your storage device using your Mac computer. If you still experience the same issue after formatting your external storage device, it is possible that there is an unmounted partition that is not being detected. You may need to use third-party software to delete the unmounted partition, leaving only the supported file system for the router to detect.